Fancy a Pint (in a cake)? Handcrafted beer just down the road from Cakesmiths HQ? That was all the inspiration we needed for our latest cake collaboration - a decadent, chocolatey, malty traycake where milk stout is the star of the show. 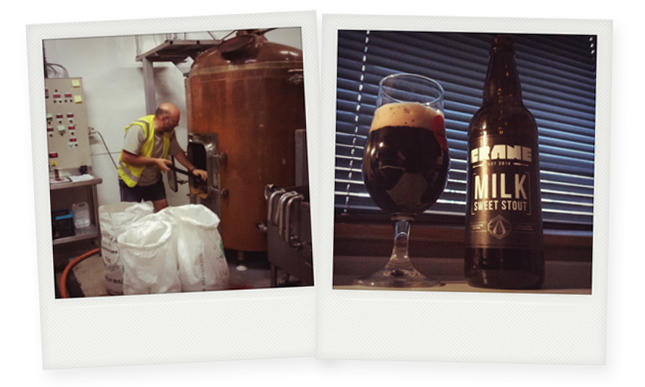 Our partner in cake is Crane Beer, a brewery in Bristol that is as passionate about beer as we are of cake, producing small batches of ale that are big on flavour and in big demand at pubs, cafes, restaurants and shops across Bristol. We were looking for a deep, complex milk stout that could work as a rich replacement for milk in our cake recipe. Crane Beer’s Sweet Milk Stout fitted the bill perfectly. Made with eight different malts and very little hops, the malt really shines through. The added lactose sweetens the taste slightly, but not too much, giving the beer a perfect balance of flavours. 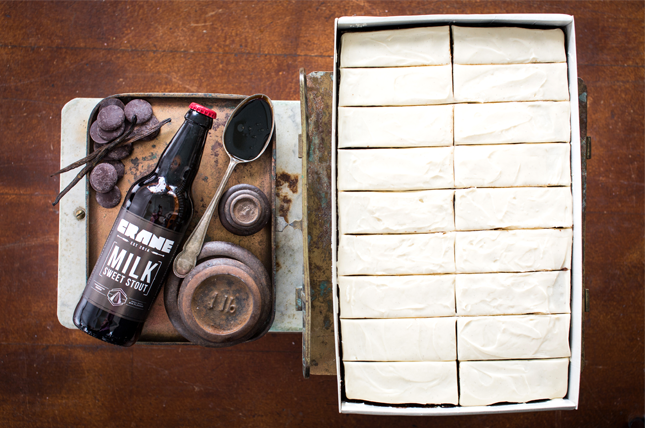 Incorporated into our sponge mixture, the stout is complemented by silky chocolate and a creamy vanilla frosting to give you one awesome tasting cake (if we do say so ourselves). Crane Beer's founder Kevin Johnston, who set up the business in 2014, is in agreement: "It made perfect sense to work with Cakesmiths because we're both focused on producing quality, handmade produce that, ultimately, tastes great. It's a fine balance adding stout to a cake recipe though; too often you can't taste the malt. That is definitely not the case with this new bake from Cakesmiths - you really get the maltiness coming through and it tastes superb." 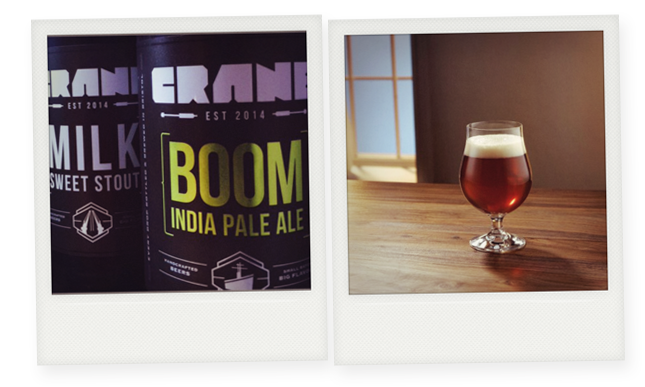 Kevin Johnston founded Crane Beer in 2014 after honing his craft homebrewing for five years first. Everything is done by hand on site at its Bristol-based brewery, from brewing and packaging to bottling and even individually hand stamping the labels.